Why Are Some Dental Implants Cases More Complex Than Others? There is no doubt that dental implants in Lynnfield are the best way to replace missing teeth for anyone who is a viable candidate for the procedure. However, because the process of installing implants is delicate and complex, some cases require even more expertise and patience than others. Here, we discuss some of the factors that may affect your road to gaining a beautiful, healthy, and restored smile. One of the most remarkable things about dental implants is their biocompatibility; these titanium posts bond with the jawbone, creating an incredibly strong base for the new teeth that are to come. In order for the bond to succeed, however, the bone needs to be thick enough to support the implants. If it has been some time since you lost your teeth, you may have already experienced significant bone loss in your jaw. Therefore, you may require a bone graft or sinus lift, procedures that fortify the bone that will support the implant. Your surgery may use your own bone, artificial bone, or animal bone to prepare your body to support implants. Exactly how a bone graft will affect your implant journey depends on the type of graft you need and the extent of bone loss that has already occurred. Your dentist will discuss the details of your surgery with you and let you know how long you can expect your recovery time to be. If you’re getting an implant to replace just one tooth, the process is likely to be straightforward. However, if you have large gaps in your smile, or if you’re missing all your teeth, replacing your pearly whites requires a bit more planning. Your oral surgeon will have to decide how to place as few implants as possible while still providing your new teeth with the support they need. Replacing an entire arch of teeth may require anywhere from four to ten implants. If you have certain medical conditions, such as diabetes, that affect your ability to heal after a surgery, your dentist will have to keep an extra close watch on you after you receive the implants. Similarly, there are some lifestyle choices that can also complicate the implant process. For example, smoking increases the risk implant failure. Your dentist may strongly recommend that you quit smoking during the time around your surgery so your body can focus on healing itself and bonding with your new tooth roots. Every person’s road to a restored smile is a bit different. If you would like to know more about what you can expect during your implant journey, pay a visit to your dentist in Lynnfield for a consultation. We hope you have a future that is full of complete, healthy smiles! Dr. Rob Schumacher is your implant dentist in Lynnfield. As a board-certified prosthodontist, he has the knowledge and skill necessary to guide you through the implant process and provide you with a beautifully restored smile. If you have questions about this treatment, please contact our office at 781-334-3400. 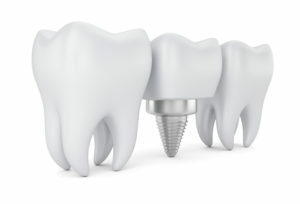 Comments Off on Why Are Some Dental Implants Cases More Complex Than Others?